Pick a genealogy coach. Schedule an appointment for a coaching session. Meet with your coach for help with your genealogy challenge. What do you need genealogy help with? Choose from a list of genealogy related subjects to see which coaches specialize in that topic. 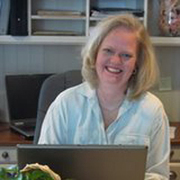 Through genealogyDOTcoach, you now have personal access to some of the best genealogy authors, presenters, and teachers in the industry. 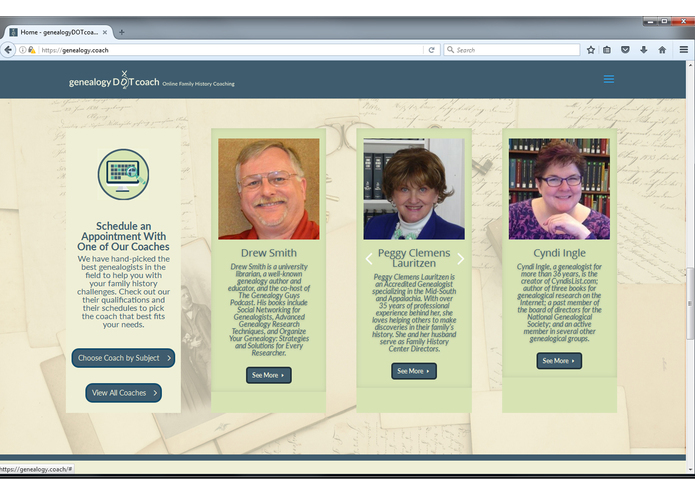 Select a coach to see learn more about them and their genealogy expertise and research specialties. You can also read past customer reviews. Book an appointment for your genealogy coaching session at a date and time that works for you. Get reminder alerts or easily reschedule. 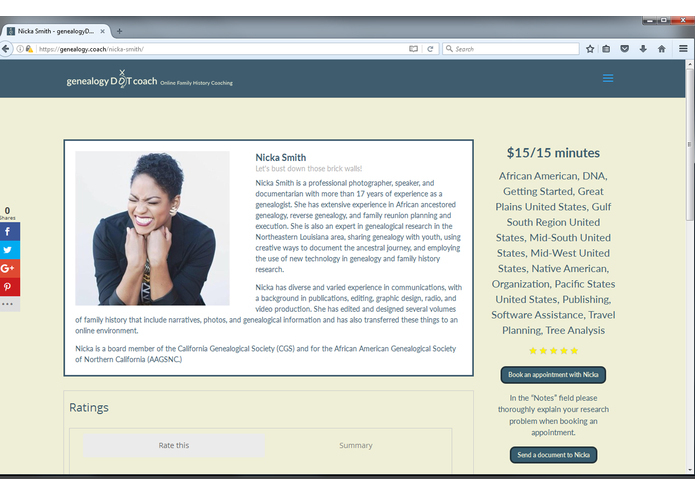 Use our browser based app to meet with your genealogy coach via web cam. 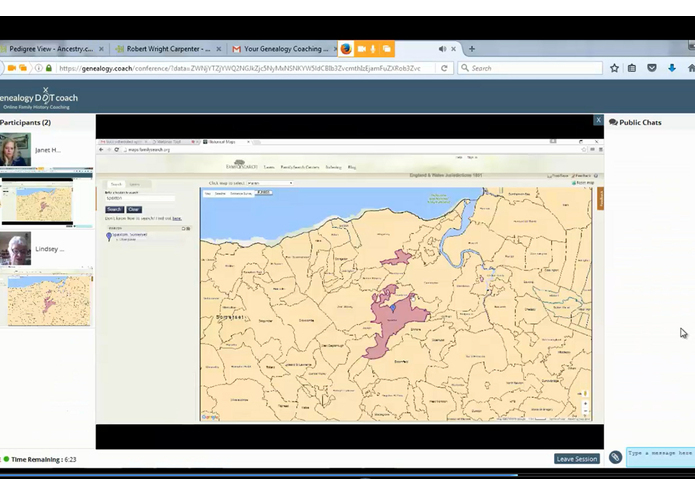 Share screens, documents and web links to resources you need. Entire businesses in this multi-billion dollar genealogy industry are built on the do-it-yourself concept of family history research. At the other end of the spectrum, professional genealogy research firms offer a do-it-for-you option that costs thousands of dollars and cuts you out of the research process. What is available for people caught in the middle of those two options? People who want to do it themselves but are stuck and need a little help? Plenty of us really enjoy doing family history research. We want to do our own research. We want the thrill of discovery. We want to come to know our ancestors through the process. We don't want to hire a professional to do it for us. But, we get stuck. We don't know what we don't know. We hit those dreaded genealogy brick walls. So, we buy books and we attend conferences and we watch webinars. And, sometimes we pick up a new tidbit of information - something we didn't know before or would never have occurred to us to ask - that we can put to use in our own genealogy research. And, sometimes we don't. But, what if we could hire those authors, teachers, and presenters? What if we could invite them into our homes, while we are researching, to help us with our specific genealogy challenge? That way we still get to do it ourselves but we get personalized help along the way. 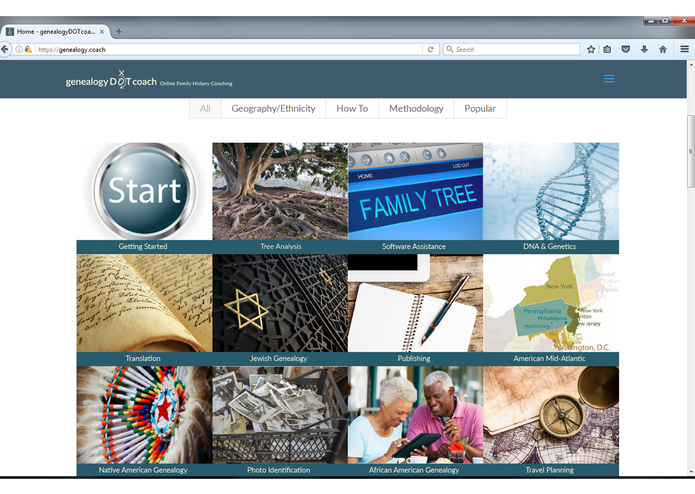 There are two main ways for a user to connect with a genealogy coach from the homepage of our website, https://genealogy.coach. They can choose from a list of genealogy related subjects to see the coaches who specialize in that topic. Or, they can see a complete listing of all genealogy coaches. In both instances, users can see the coaches brief bios, research specialties, customer ratings overview, and the pricing set by each coach for their services. Once the user selects a coach they might like to work with, they are taken to that coach's profile page. 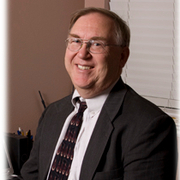 This has a more detailed biography, complete customer reviews, and a link to schedule an appointment. The user then selects how long they want to meet with the coach - 15, 30, or 60 minutes. They are presented with the coach's availability in a calendar format where they select a specific date and time for their coaching session. Users then provide a detailed explanation of their specific genealogy challenge and upload any documents or links that the coach will need to assist them. The coach receives a text message notifying them of the appointment request and has the opportunity to review the information provided. Once they accept the appointment, the user receives confirmation. If the coach is unable to assist, or believes that another genealogist might be better suited, they can reject the appointment and recommend a different coach. Fifteen minutes before the scheduled appointment, the user receives an email with instructions for logging into a private video chat room for their coaching session. The video chat room allows for face to face video and audio, two way screen sharing, text chat, and document sharing. Each coaching session held using our customized platform has a start and stop time. Users are not allowed into the room until their session start time. There is a countdown clock in the lower, left corner that turns red when there are five minutes left in the session. And, the room is automatically closed when the time is up. 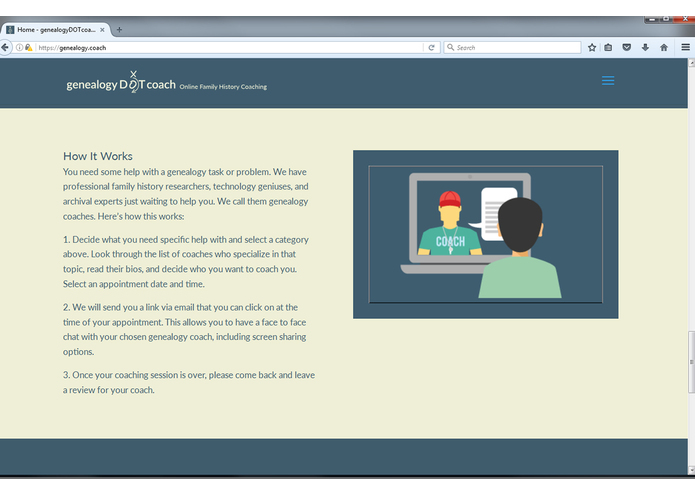 Once the session is complete, the user receives an automated follow up email that encourages them to return to the coach's profile page to take a quick, three-question survey and provide feedback about the service. 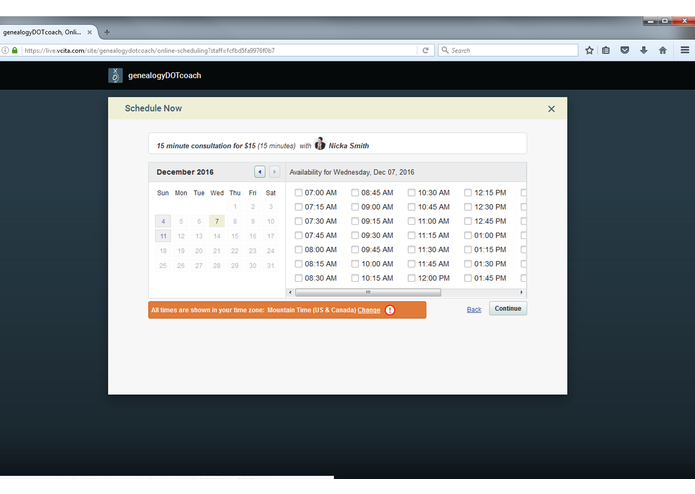 Each coach controls their own schedule (using a back-end scheduling platform). Coaches also set their own pricing. We built our website using WordPress as our main framework. We are using plug-in modules for our scheduling software, to manage payment options, and to administer our rating and review system. We contracted with a small team of programmers to develop a customized, real-time, browser-based application to be used for our coaching sessions. We generate trigger based emails on our own server. We hand-selected some of the best professional genealogists as our starting group of coaches to help us launch this service. We have provided them with logins to some of our back-end services that allow them to manage their own calendars, set their own pricing, and keep their biographical information up to date. In our attempt to follow lean startup principles, we launched our website and service in late August with what we deemed to be a minimally viable offering. Our biggest challenge has been to take our original idea/vision and scale it down to determine exactly what "minimally viable" meant us. Because the workflow of our service is built mainly out of plug-ins, we are limited by their limitations. The scheduling software does not do everything we want it to do. The ratings system does not consistently calculate and display the "5 star" scale correctly. These are still challenges that we are excited to work through when we can get the resources to build our own pieces to replace the plug-ins. Since launching the service, we have encountered another challenge that we anticipated, but not to the degree that is has become apparent. Most of our target market does not seem to understand or value the expertise of professional genealogists. They have bought into the marketing being done by the large DIY organizations that "anyone can do this." So, when they hit brick walls, they think that if they can just come up with the right combination of search terms, they can solve their problem. They do not recognize that A) there are genealogy professionals who B) can help them because these experts have spent decades honing their craft. Our genealogy coaches know the records and the limitations of those records. They know genealogy methodology. They have analysis skills. They know what to do with conflicting evidence. They understand the difference between searching and researching. And, they have devised ways over, around, and through brick walls that do not even occur to the average genealogist. Our marketing challenge is helping our target customers understand this concept. Our biggest accomplishment was getting the right coaches on board - this group of amazing professional genealogists. Their reputations in the industry have allowed us to begin strong. Their enthusiasm and support for our purpose and vision has encouraged us that we are on the right track and that there really is a need for this type of service. We are also thrilled that we were able to quickly pull together all of the pieces needed to get this service up and running quickly. This has allowed us to test our assumptions about what the genealogy industry needs and how to position this much needed service to customers. We started with the assumptions that professional genealogists would be interested in this type of work and that users would be looking for this type of solution to their genealogy challenges. We have tested these assumptions in various ways. We have visited the Family History Library and attended several genealogy conferences to speak with enthusiasts about their brick walls and where they go for help. We have learned that there are more individuals than expected that are technologically-challenged and yet are still engaged in family history research and the idea that they can get genealogy coaching. We have expanded our reach to that market segment by offering telephone coaching sessions to those who have slow internet speeds, no webcams, or are a little fearful of the technology needed to run our platform.